Supply of a Pilot Plant for the Treatment of Effluents from the Spirits Industry - Lakson International Development Inc.
Over the past several months, we, at Lakson International Development, along with our partners, have been working on developing our own process and intellectual property for the treatment of wastewater effluents from the spirits industry. This project started when our client, an important actor of this industry in China, approached us after several failed attempts at treating and recuperating its effluents. This led us to dedicate a team almost entirely to the development of an innovative solution, which in turn led to the proposal of our services in the form of a 10m3/hr pilot plant that would treat and purify these effluents so that they could be recycled. 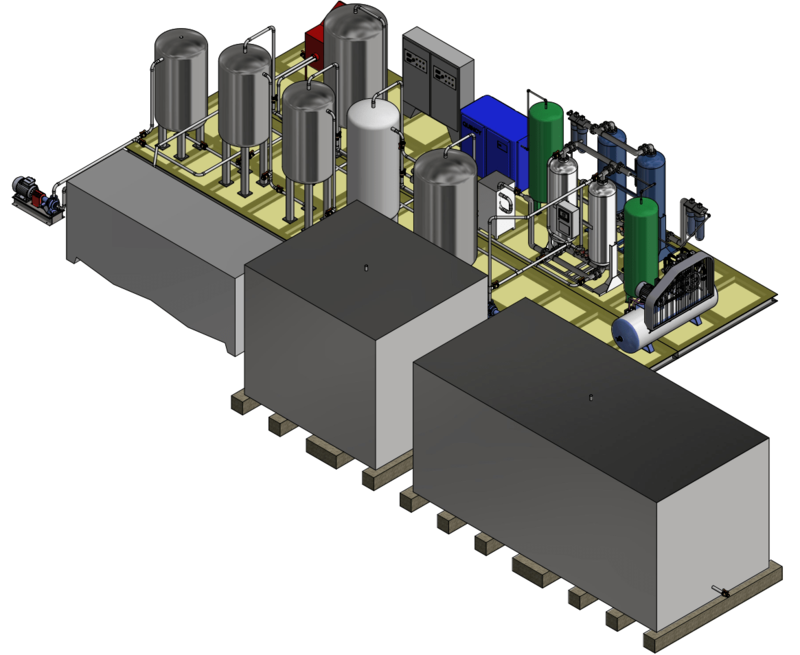 At this point in the project, our team has completed the design for this pilot plant, we have completed the procurement of the process’ main equipment and the project is in its execution phase.